Frank Warren insists ‘the show will go on’ but David Haye and Dereck Chisora could find themselves boxing on an unlicensed promotion at Upton Park on July 14. The Luxembourg Federation, who have sanctioned the event despite opposition from the British Boxing Board of Control, were suspended by the European Boxing Union at the weekend. 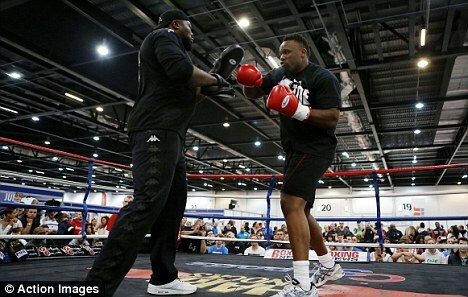 They have also been warned that unless they withdraw from licensing Haye-Chisora, the suspension will become expulsion from the moment the first bell rings. 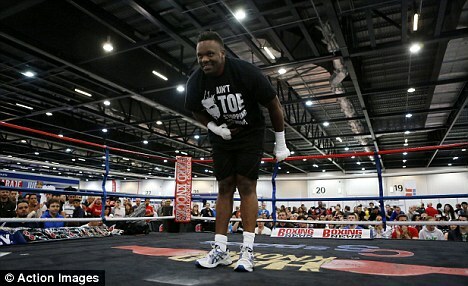 That would leave Warren, Chisora’s promoter, either seeking approval from an alternative body or pressing ahead on his BoxNation television channel, regardless. Warren issued a statement interpreting as a humiliating climbdown this shift from the Board’s original declaration that anyone involved at West Ham’s football ground that evening would be deemed to have surrendered their license. He is also vowing legal action to defend himself and his associates, the boxers included, from any repercussions. 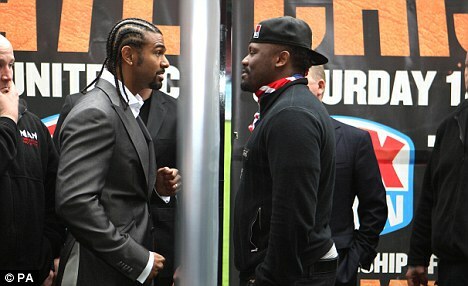 Controversy has been festering since Warren announced that Haye and Chisora — the former world title-fighting heavyweights who were involved in that disgraceful brawl at a press conference in Munich — would be settling their grudge in a ring in East London. Warren who announced on Sunday that 28,000 tickets have already been sold from a capacity of 42,000, is pressing ahead next month, while indemnifying the participants.